1. Is my goal still the same? If so, then continue to focus on achieving that goal. If not, then focus your attention on what matters to you today. Perhaps you’ve already reached your goal – if so, then build on that success by shooting for something even better. 2. What is working well? What isn’t? If something is working well, then by all means keep up the good work. Also take a moment to reflect on why it is working well. By determining the why, you might be able to translate that success into other areas of your life. If something isn’t working, then now is the time to make an adjustment. 3. Is there anything we can do to help? 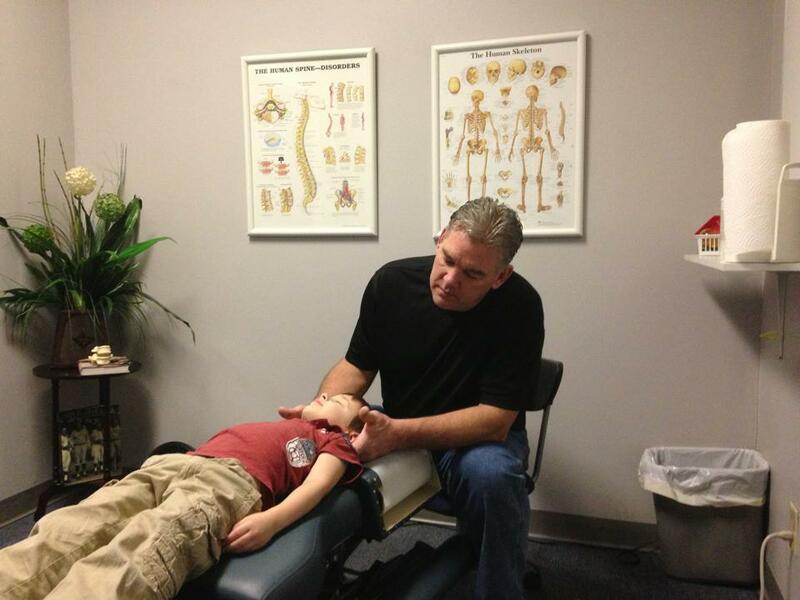 For years we’ve been helping folks improve their health through chiropractic care. If there is anything we can do to help (even if it’s only a few words of encouragement), let us know and we’ll be glad to do everything in our power to help. We want you to succeed! If the goal just isn’t panning out the way you thought it would, talk it over with Dr. Mark on your next visit. Maybe he can help you make adjustments or get you moving a little faster towards that goal. Don’t give up! Regular chiropractic care has been found helpful in relieving pain patterns associated with a sedentary lifestyle, obesity and other lifestyle related diseases. While chiropractic treatment for neck and back conditions help reduce pain and restore biomechanical motion, the treatment also improves the function of your nervous system. Additionally, research has shown that chiropractic treatments can be beneficial towards stabilizing or lowering high blood pressure. Take a running start at improving your overall health by contacting our clinic for a complimentary consultation at 901-821-9312. A sedentary lifestyle has a debilitating influence on your health as you age, therefore exercise is imperative. While some fitness enthusiasts relentlessly seek out the latest, trendiest exercise crazes, many others are returning to good, old-fashioned walking to help them feel great and get back into shape. Whether enjoying the wonders of nature or simply the company of a good friend or spouse, walking can be a healthy, invigorating experience. And thanks to its convenience and simplicity, walking could be right for you too. Step #1: After a few moments of walking find your pulse on the underside of your wrist. Step #2: Count the number of beats you feel in 10 seconds. Step #4: Subtract your “beats per minute” from 220 and multiply the answer by 80%. Walking just 10 minutes every other day can offer important health benefits. But in order to increase the health benefits of walking try to build up your endurance and walk 20 to 30 minutes three to four days a week. Holding your “Target Heart Rate” as explained in the example above at 128 “beats per minute” for 20 minutes three to four times per week would be ideal. • Manage proper posture when walking. Avoid looking down as you walk or excessive forward leaning of your body as this will challenge the curves of your spine and neck, which will cause you to carry your weight improperly leading to injury. • There is no need to carry weights or dumbbells while walking. They are better used as a separate part of any exercise regimen. • Expect a little soreness in the thighs, calves and lower body for the first week or two. If you experience more than soreness, check with your doctor of chiropractic as there may be postural concerns or other health issue that need to be addressed. • Walk briskly, with “purpose.” Simply sauntering, while relaxing and enjoyable, is not an effective form of cardiovascular exercise. However if you are able to reach your “Target Heart Rate” and maintain it for 20 minutes you are accomplishing your overall goal for your walking program. • Drink 10 eight-ounce glasses of water a day to help keep the kidneys active, dilute and remove toxins from the body, and replace lost fluids. (Coffee, tea, soft drinks and alcohol are diuretics/dehydrators. Don’t substitute them for water.) If you perspire during walking, you may need to drink even more. • Walking on a cushioned or rubberized track is ideal, because the cushioning of this type of track absorbs most of the impact of your walking. Many recreation centers offer this type of track free of charge. • Grass is another good surface, but watch out for hidden dips or holes in the ground. • Walking on a surface with no give, such as concrete or a mall floor, is not your best choice, because this type of surface will not absorb much of the impact your body will experience. If you do choose to walk on such a surface, be extra careful to select highly cushioned shoes. You may experience pain or injury in a particular area such as the knee or a hip, but the root of the problem may lie somewhere else. Injuries of this nature are not regional, or isolated, but systemic. A problem in the foot or ankle can create an imbalance in every step, leading to discomfort or injury that moves to the knees, hips, low back or neck. If you suffer from pain beyond typical muscle soreness, chiropractic care offers a wide variety of treatment options and wellness programs that can reduce or eliminate the cause of your pain or injury and get you back on the road to improving your health in 2013. As the time spent with family, friends and relaxation from life’s normal routines draws to an end and the symbolism and celebration of the New Year has come and gone, we are given an opportunity to reflect on the past year and to set forth our intentions for the coming year. What promises and resolutions will you make for the New Year? Will it be goals on improving your health, weight, money, career, relationships or family? Will you commit and follow through? As you are in the process of setting your goals and resolutions, keep these 3 suggestions in mind for setting “achievable” resolutions. 1. Set a goal that is worthwhile to you. Don’t set a goal because you think someone else would like you to. The thing about your life is just that – it is your life. If losing weight isn’t important to you right now, then don’t set that as a resolution. Rather, choose something meaningful to you. Making changes can be hard since we have become ingrained with old habits. In order to overcome these habits, we often need an intense desire to alter our old ways of thinking and doing. The more meaningful your goal, the more committed you will be to making lasting changes. 2. Determine your goal and then create action steps necessary to achieve that goal. For instance, if your goal is to improve your health, action steps might include getting to bed earlier than normal and eating a balanced diet. Other action steps would certainly be centered on the six essentials of life: 1.What you eat. 2. What you drink. 3. What you breathe. 4. How you exercise. 5. How you rest. 6. What or how you think. Remember to be grateful for all that you have. By being grateful for the things you have, you’ll often find you attract more great things into your life. 3. Small changes as well as small action steps often work best. If you are looking to lose weight, one way to achieve that goal might be to run 10 miles a day. For most folks, however, running 10 miles would not be a reasonable option. A more achievable action step, on the other hand, would be to increase your aerobic exercise by 20 minutes every day. Because this action step is more obtainable, you will more likely follow through day in and day out. Life is lived one day at a time. Life isn’t about yesterday, nor is it about tomorrow. Rather, life is about today. As Ben Franklin said, “One today is worth two tomorrows.” Each day is special with its unique challenges and opportunities. So remember to make the most of each day. By taking advantage of every day, you’ll find that 30 days from now you’ll be leading a richer, more fulfilling life. If 30 days of living every day can do that, just imagine an entire year of living every day. The world could use a little more love, especially these days it seems. In the New Year try to be a little more patient and a little more loving with those you meet. Make it part of your resolution over the next 30 days and beyond to show more love to your family, friends, coworkers, neighbors, and especially yourself. We wish for each of you the very best in the upcoming year. If we can help in any way please do not hesitate to contact our office.